Plantar fasciitis is a label the doctors have given pain in the bottom of the foot and/or heel. Often times it may be inflamed from something called the plantar fascia. A very thick, tough connective tissue. It runs across the bottom of your foot and connects your heel bone to your toes. If left untreated it may cause heel spurs and other conditions. Below is a self myofascial treatment therapy you can do at home. You will need a tennis ball or a 4 inch inflatable ball. You can do this either sitting or standing. 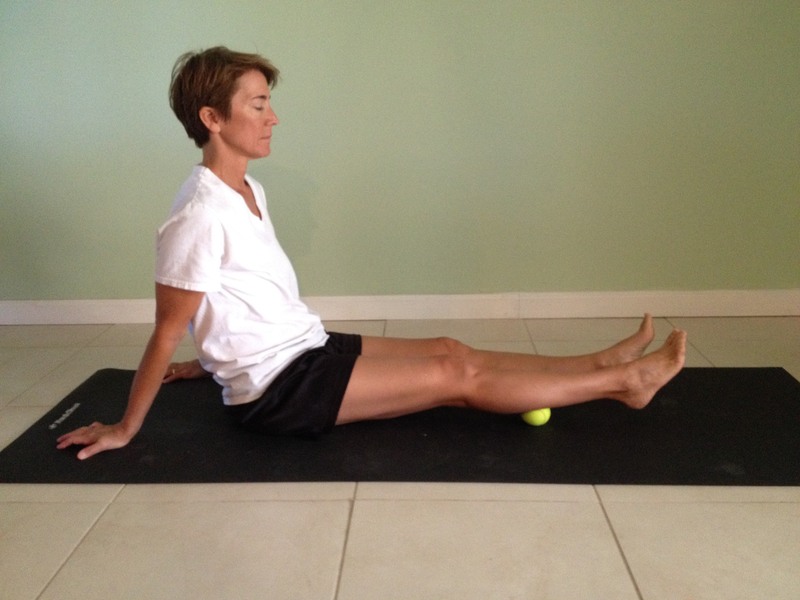 Start by rolling your foot over the ball to find a tender spot. Once you find a tender area sink into the foot with the ball without forcing. Stay in this area for a minimum of 5 minutes or longer. Then, find another area of tight or tenderness and gradually sink into that area for 5 minutes or longer. The key is to never force the tissue into releasing, and stay in the area for the allotted time of 5 minutes or longer. This technique will get into the deeper layers of fascia. Apply the same principles to the calf. It is highly recommended that you also address the calf as the connective tissue/fascia is interconnected. There is more to it than that, but it should get you started.